How is it possible for Hank Aaron, a 24-time All Star with 755 home runs, 3,771 hits, 2,297 runs batted in, and a .305 lifetime average to be underrated? Hank Aaron broke into the big leagues in 1954 with the Milwaukee Braves and made an immediate impact. For the first for years of his career, the manager of the Braves was Charlie Grimm. Over that four-year span, Aaron was a three-time All Star and league MVP. By the time Grimm was fired, Aaron had twice led the league in doubles and total bases, and once each in hits, runs, homers, runs batted in, and batting average. He was well on his way to a Hall of Fame career. 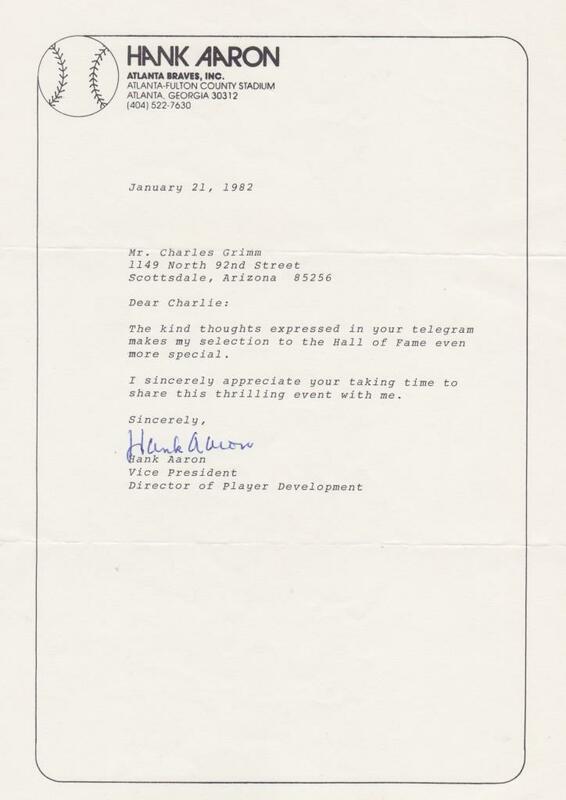 After Aaron was voted into the Hall with 98.7% of the vote Grimm at that time 83 years old, sent Hank a congratulatory telegram. In the collection is this letter from Aaron to Grim thanking him for the “kind thoughts” of the telegram. Grim would die the following year in 1983. 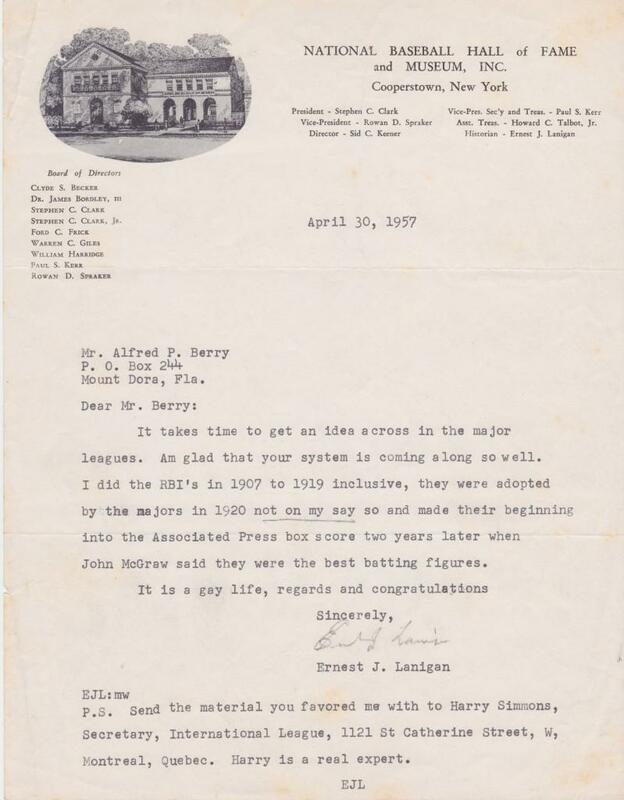 One can only imagine how many positive letters, cards, and telegrams Aaron must have received after gaining admission to Cooperstown. Though the ceremony would take place later that summer, Aaron wrote the letter in January, showing a strong bond between him and Grimm. Aaron letters are difficult to find, especially with content as strong as this example. 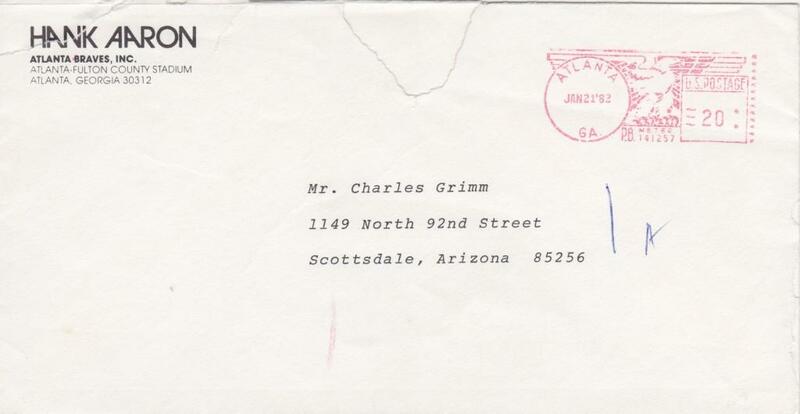 Charlie Grimm lived his golden year in Scottsdale, Arizona. 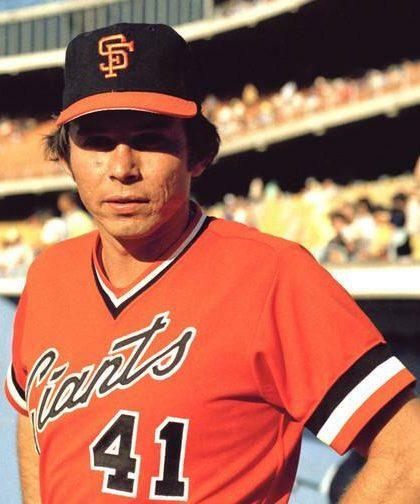 Grimm is in the Hall of Fame discussion because of his long and distinguished playing career followed by a successful 19-year run as a manager. 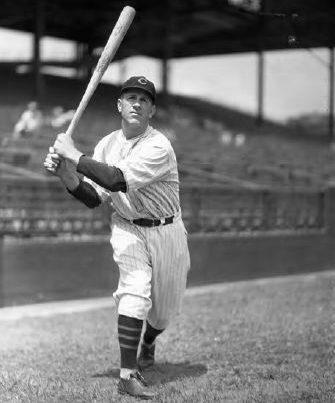 Grimm amassed 2,299 career hits and a .295 average over his 20-year career. 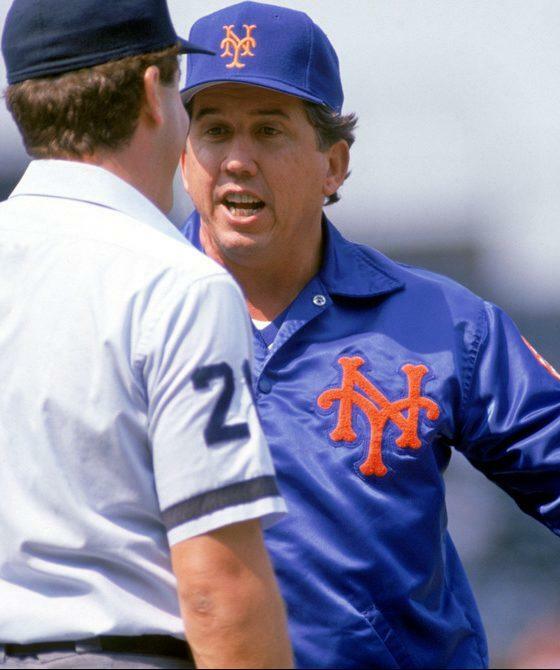 As a manager Grimm guided the Cubs to three National League championships, only to lose in the World Series each time. First Grimm’s club played the Yankees in the 1932 Series that was highlighted by Babe Ruth’s supposed called shot. Three years later it was the Tigers that turned back the Cubs. Grimm’s final appearance in the Fall Classic came at the helm of the 1945 squad that again dropped to Detroit. 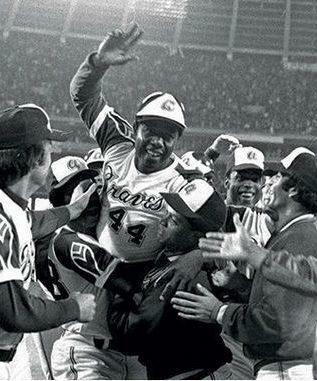 Hammerin’ Hank Aaron retired in 1976 as baseball’s all-time leader in runs batted in. Today his 2,297 RBIs still ranks first on the list. The stat itself was not always a part of the game. Ernest Lanigan is largely forgotten in baseball history. A newspaperman, official scorer, and executive for the minor leagues and the Hall of Fame, Lanigan is largely responsible for getting the RBI accepted as an official statistic in 1920. Lanigan has been referred to as the Patron Saint of the Society for American Baseball Research (SABR) and no wonder. I don’t believe Aaron was underrated so much as he was or is under appreciated. 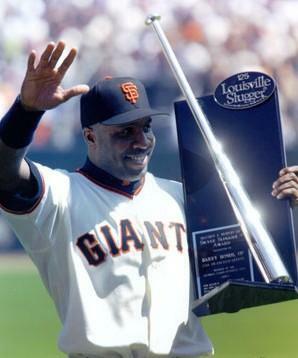 The other HOF player who also comes to mind is Frank Robinson. Surpassed Mays in virtually every offensive category. Should be called greatest living player when introduced.